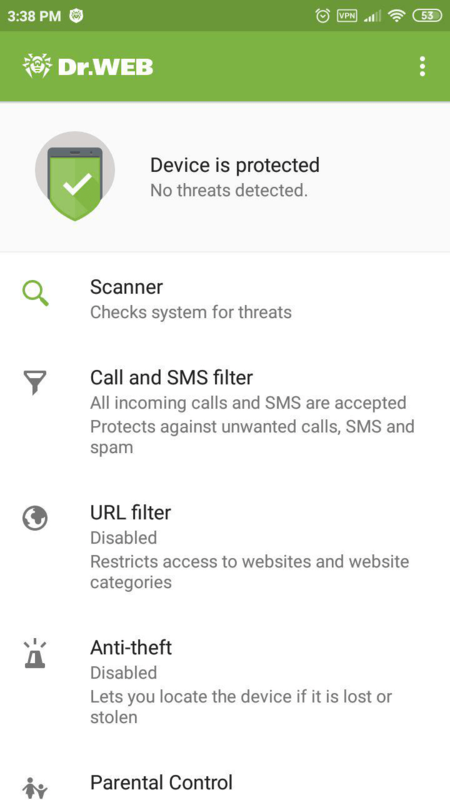 How can I know what Dr.Web for Android I’m using? — Dr.Web — innovative anti-virus technologies. Comprehensive protection from Internet threats. How can I know what Dr.Web for Android I’m using? In the top-right corner of the main application window, click on the menu icon, and select About. 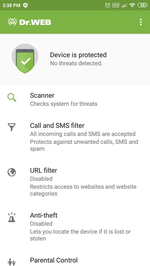 On the newly appeared page, you'll find information about the name and version of the Dr.Web solution you’re using to protect your device. The name of your Dr.Web product can also be found in the License Manager on Doctor Web’s site. 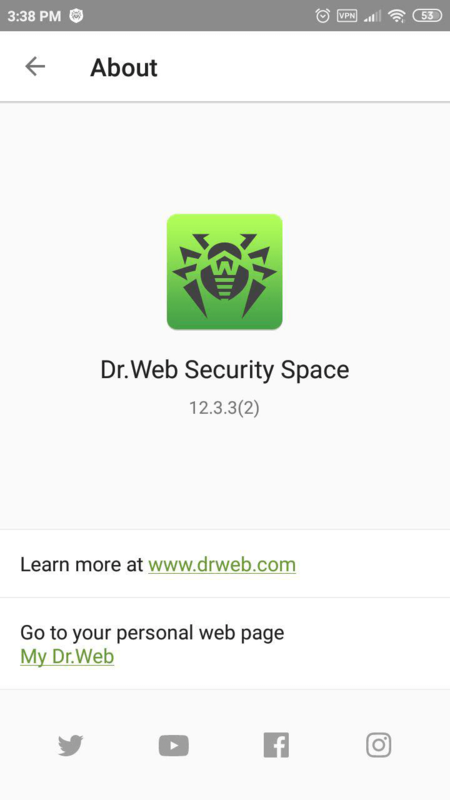 If you inadvertently downloaded Dr.Web for Android Light instead of Dr.Web Security Space for Android, download a free 14-day trial for the full version (the trial is issued during installation) from Doctor Web’s site. You can also download the full version of Dr.Web from Google Play.